Tranmere are on the road again tomorrow when they travel to Sixfields to play Northampton Town. We seem to have made frequent trips to Northampton over the last decade or two, so Saturday will be quite comforting as it’s another one of those bog standard Football League games – the very ones we have been longing for over the past three years. Visits to Sixfields in recent times have been mixed. We’ve had good days, bad days and one of the strangest injuries to a Tranmere player that we can remember. One thing is for sure, there is often a good few goals in fixtures we’ve been involved with down there! Apologies in advance if that’s a kiss of death. Here are a few memories of previous trips. Shortly after relegation from the now-Championship, Dave Watson was struggling to make an impact as the club’s new boss. A team that included the likes of Wayne Allison, Sean Flynn, Seyni N’Diaye and Jason Koumas travelled to Sixfields early in the season looking to find some sort of form. The home team took Rovers apart with ease, and despite Sean Flynn scoring to give some hope at the end of the first half, it was fruitless. It finished 4-1. Watson was finished about 10 months later. The following season, Rovers were absolutely finding form under new boss Ray Mathias. Simon Haworth had arrived from Wigan and he netted twice as Rovers ran riot. Two young emerging talents were also on target that day in the form of Ryan Taylor and Alex Hay. Alas, Rovers just missed out on the play-offs in one of the most exciting campaigns of recent times. Remember that 3-3 with Cardiff at Prenton Park? That was later in this season. 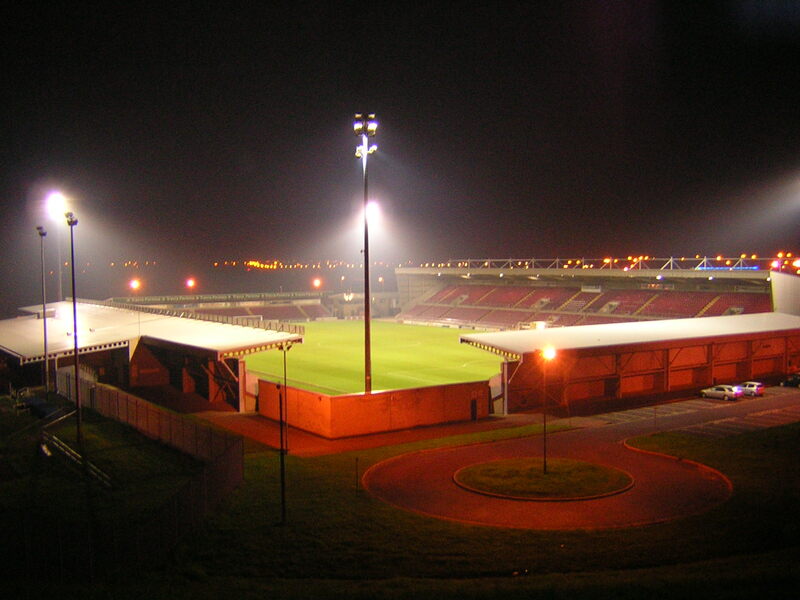 In 2006, visits to Northampton resumed after the Cobblers had spent some time in the basement division. Rovers were enjoying life under Ronnie Moore and were among the early pace-setters. Early goals from Calvin Zola and Gareth Taylor put Tranmere in a commanding position at half-time, John Mullin adding a third early in the second half from the penalty spot. The hosts got one back, but it was a consolation. However, perhaps the most memorable incident that day was the injury sustained by Kevin Ellison. The Rovers winger was poked in the eye by Zola during the celebrations from the first goal. It looked innocuous from the away end but was actually pretty serious – Ellison struggled to see out of his eye, was substituted shortly after, and if memory serves us correctly, missed a few games as a result. Another season of disappointment for Tranmere ended at Sixfields in May 2008. The game was dour and the home team won. However, one moment that those there will not forget is the lovely overhead bicycle kick scored by the hero that is Chris Greenacre. A great goal, typical of Greeny’s talents. Talking of heroes, Ian Goodison was also sent off in this one ten minutes before the end of the game, securing an extended summer holiday at the start of the following season. He was no stranger to an extended summer break, usually returning to Wirral about 24 hours before the first game of the season. We had to include this one, purely because it was at Northampton and was hugely enjoyable. While Coventry were playing in Northampton, Rovers travelled there in League One. Ryan Lowe hit a hat-trick – including a breath taking half-volley from 40+yards – Jake Kirby scored and James Wallace came off the bench after a long injury lay-off(!) to net a fifth. Oh, and Ash Taylor was sent off for Rovers. Feel free to get yourself sent off tomorrow as well, Ash.